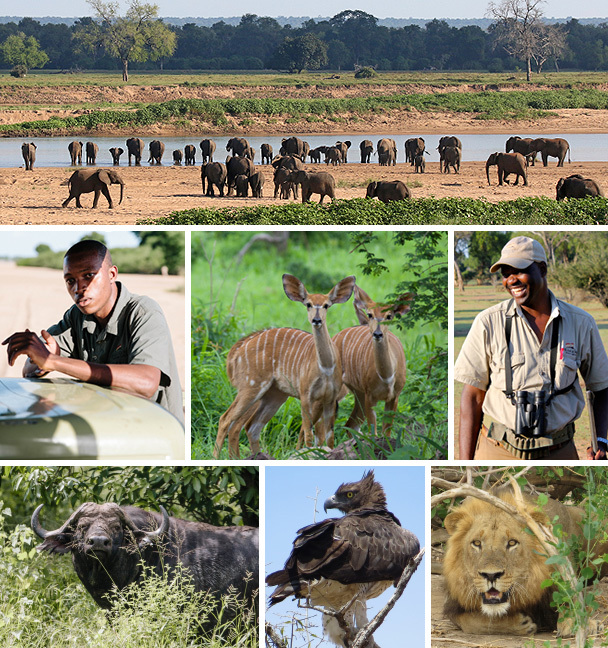 A few months ago a client went to Gonarezhou National Park. He is an excellent wordsmith; so sit back and take a few moments to enjoy his evocative prose on the road less travelled. Every so often, one gets a glimpse of how Africa used to be. 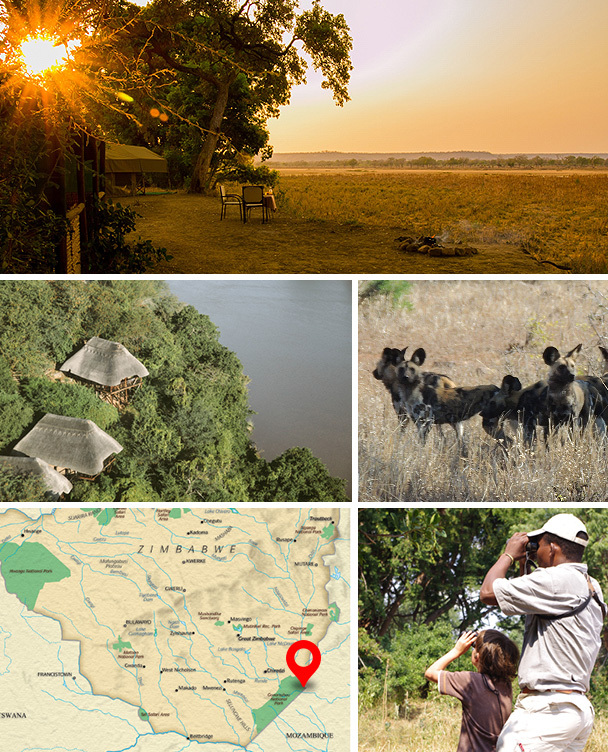 The sweeping vistas so beloved of Ernest Hemingway and Martha Gellhorn, epic landscapes in which man’s insignificance is underlined by a profusion of wildlife and seemingly endless swathes of virgin bush. Sadly, such sights are ever more rare across the continent. But in the deep south of Zimbabwe, the spirit of old Africa is alive and kicking. A visit to magical Chilo Lodge and Gonarezhou, offered the chance to rekindle a seemingly lost world. Like all worthwhile destinations, it takes time to get there. We flew in, an hour and a half or so’s charter flight from Harare, passing at first over agricultural land and then much wilder country before dropping down to an airstrip evidently carved out of thick bush. Met by Clive Stockil – Chilo’s founding father and an iconic figure in African conservation – and his superb team, a short drive took us to the lodge and to what is surely one of the most stupendous locations anywhere in Southern Africa, overlooking the gorge cleaved by the Save River and across to the wild lowveld of the national park. Elephants, hippos and crocodiles busied themselves on the sandbanks below, a hint of what we would see once properly out and about. During the dry season the safari vehicles have no problem traversing the river to reach the park, but there had been unseasonably heavy rain shortly before our visit and so we had to cross the Save – nonetheless very shallow in places – by boat, jumping out and dragging it over sandbanks and then scrambling up the sandy bank on other side, where a second vehicle awaited. Here the park proper begins and within seconds of each drive we were encountering our first animals, almost invariably Elephants. Gonarezhou is stuffed with them, some 12,000 in total. However, the adults can be decidedly spiky ¬– some have sought refuge in the park from neighbouring Mozambique, where poachers have had a crack or two at them. Pachyderm memories die famously hard of course, and some of those we encountered were at best skittish if not downright truculent. Exciting moments were never far away. One afternoon we were exploring the riverbank on foot, checking out a Carmine Bee-eater colony and enjoying a Martial Eagle perched on a dead tree. Time drifted by, Africa style, and we returned to our vehicle to find that up to 100 elephants had moved into the immediate vicinity, emerging out of the bush and striding towards the river. We were basically surrounded, hemmed in between elephants and water – somehow never a good place to be. Clive’s intimate knowledge of elephant behaviour and impressive bush-driving skills saw us to safety, but only after we were forced to take evasive action by crashing off through the thorn scrub to escape from a particularly persistent matriarch determined to see us off her patch. There were plenty of other animals to enjoy – Impala and Greater Kudu aplenty, plus Waterbuck, Zebra, Giraffe and Wildebeest. Buffalo were especially numerous, with some large herds and also massive lone bulls often seen wallowing in mud out on the pans. Always interesting for someone like me reared on safaris in East rather than Southern Africa were the Nyala, especially the mature males complete with shaggy dorsal crest, chest fringe and majestic lyre-shaped horns. Equally engaging were the Steenbok, nervously darting about in the understorey of the thorn scrub. Always about to be someone’s next meal. Talking of which… “Oh, you’ll be very lucky to see any of the big predators in Gonarezhou,” I was airily told by an old Zim hand in advance of my trip. Well, maybe we were, but saw them we did and the sightings were impressive by any standards. On our first day we encountered a magnificent blond-maned lion, belly full and resting in the shade of bushes on the edge of a pan. A careful approach gave us stupendous views as he peered at us through the foliage. Days two and three turned up Wild Dogs, that quixotic harlequin of the African bush. Gonarezhou is home to several packs. Three just trotted past us one morning, barely deigning to pay any attention, and the next afternoon we found four of them enjoying a mud bath out on the Tembwehata Pan. Unbelievably, such highlights were eclipsed by the dramatic events of the following day. We had been on a full day’s drive to the epic multi-coloured sandstone Chilojo Cliffs – Zimbabwe’s Grand Canyon ¬– and were wending our back to the lodge when suddenly a yellow and black flash shot up out of a gully next to the vehicle: a huge male Leopard. We must have surprised him, as he ran across in front of us and vanished into a patch of scrub. No sooner had he disappeared from sight than he charged out again, now with a troupe of furious Baboons in hot pursuit. Screaming and with teeth bared, they chased him across the open clearing right ahead of us, his long pied tail thrashing behind him, incredibly almost as long as his body. With massive bounds, he outpaced the Baboons and ran up a ridge, pausing for a split second on the top to look back over his shoulder at us – and them – before disappearing for good. Breathless, we fell back into our seats. Another amazing Chilo moment. 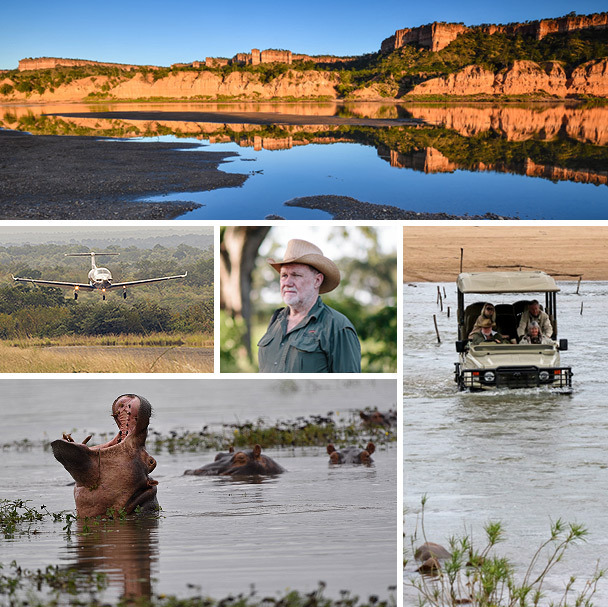 Community-led conservation is at the forefront of Chilo – Clive grew up among the local Shangaan and has worked tirelessly to ensure that the benefits of wildlife conservation and eco-tourism reach local people in a meaningful and sustainable way. Delivering this is not always easy but here it is working. During our four days at Chilo we saw no other vehicles in the park. It felt like “old Africa”, and that alone is a reason to go back.